256 total shares. Be the next! Save Handiedan to your Collection. Register Now! Print & collage and collage and pen with matte varnish on old wood in antique frame. Mixed media. Print, collage and pen with matte varnish on found wood in antique frame. 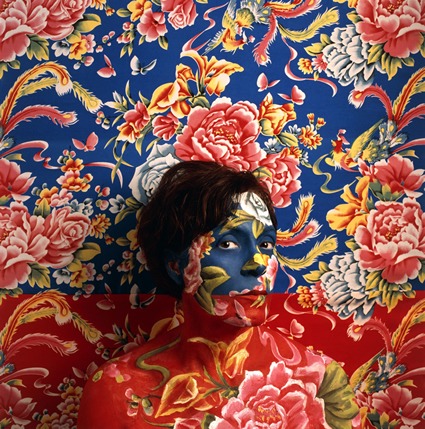 Hanneke is an Amsterdam based artist and designer. In 2002 she graduated in photographic design at the Academy of Arts and Design St. Joost in the Netherlands. Although her degree says photography, she has also become well versed in apparel design as well as creating her own fine art. 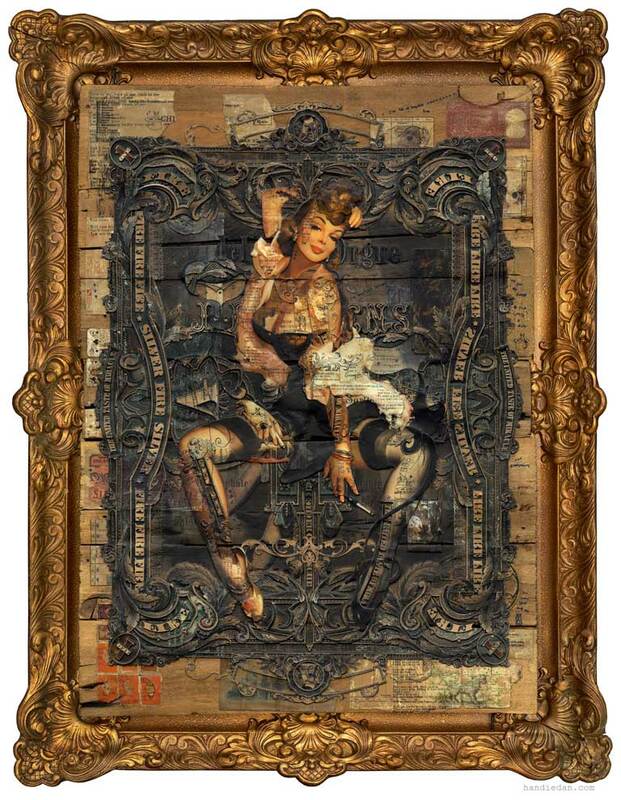 HANDIEDAN’s mixed media artworks are a delicate cut and paste mixture wrapped in contemporary antiquity. She meticulously combines classic pin-ups and movie images with paint, ink, yellowed sheet music, old fashioned playing cards, money, stamps, Chinese papers, old wood, rusty metal and doodles as a playful mixture of filigree and a newfangled amalgamation of imagery. 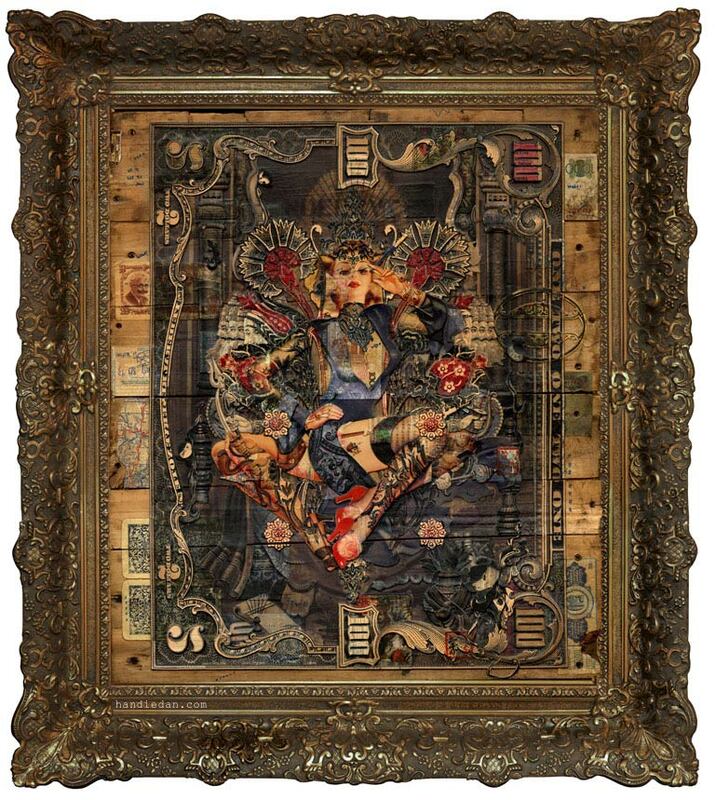 "Handiedan combines old and new and is heavy in process as well as content. She has developed her bold and flourish-heavy collage style into an intricately layered finale that you can't help but run your fingers over." "I am enraptured by Handiedan’s collages, each piece is so beautifully complex it literally lures the viewer in, like an intricate puzzle." these are AMAZING pieces i was wondering if any of your work is for sale?? pic a; shady deals by executives,who are well tied to dominering sects, and street hawks to secretly and endlessly control a one,strong,united numerical entity / currency. pic b; authority accomodates seduction as a dominant factor for which it showcases its wealth to subject information,people and faith to its own ideology. this work has so much potential!!!! but there is not meaning coming across!!! i love that you take imagery from specific eras and combine it all- BUT there is NO sense of narrative, and if there is its ussually "oh they're talking about how to play that hand at poker(or maybe a hand they were dealt in life). thier narratives are way too short and easily deciphered. these have so much potential! i can thinking of so many hidden narratives/purposes you could include! so find them for yourself and you'll go far! I like it because it hase everything the economy is. This is also, beutiful art work! I really love this kind of work. It's very inspiring and beautiful. 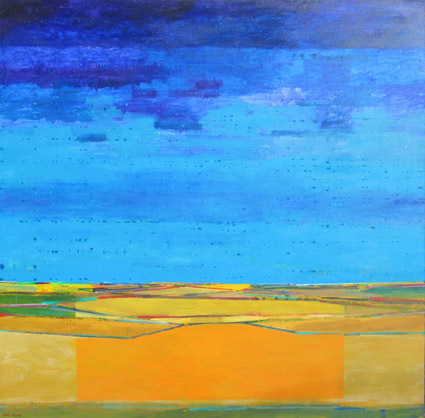 mixed media has always been about using other art to make new art. That's the whole point of mixed media..other media. This is very unique imagery and a beautiful compilation.